OLD PARKED CARS. 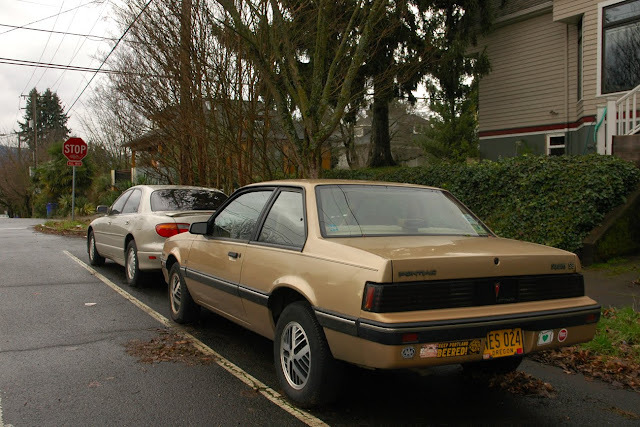 : 1985 Pontiac Sunbird SE Turbo. 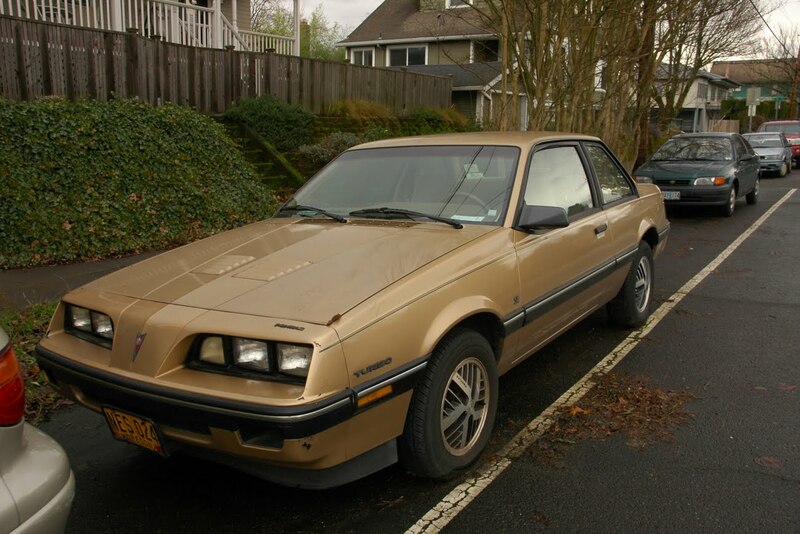 1985 Pontiac Sunbird SE Turbo. A car that time has forgotten. And, it seems to me, one that is very very worthy of being forgotten. 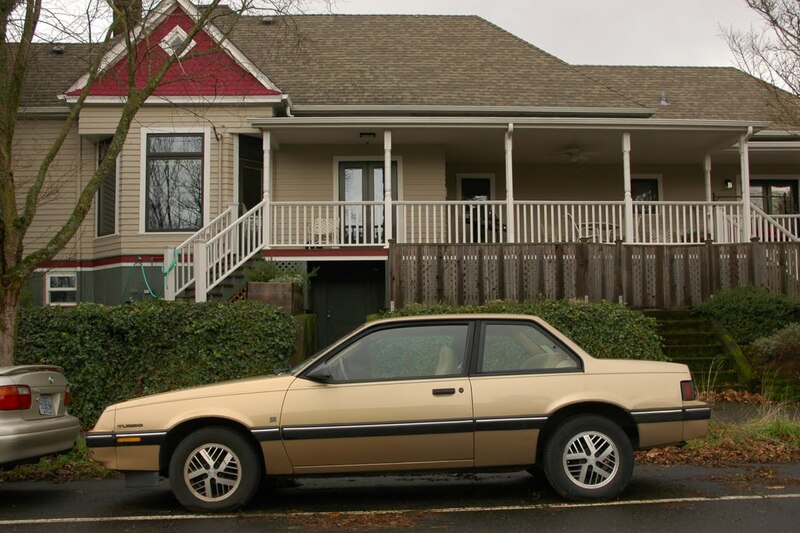 One of the most boring transportation concepts out there. Great to see that it is still apparently a daily driver. I wonder how many of its parts would actually fit an Opel Ascona. Mikael...that's a good question, haha. 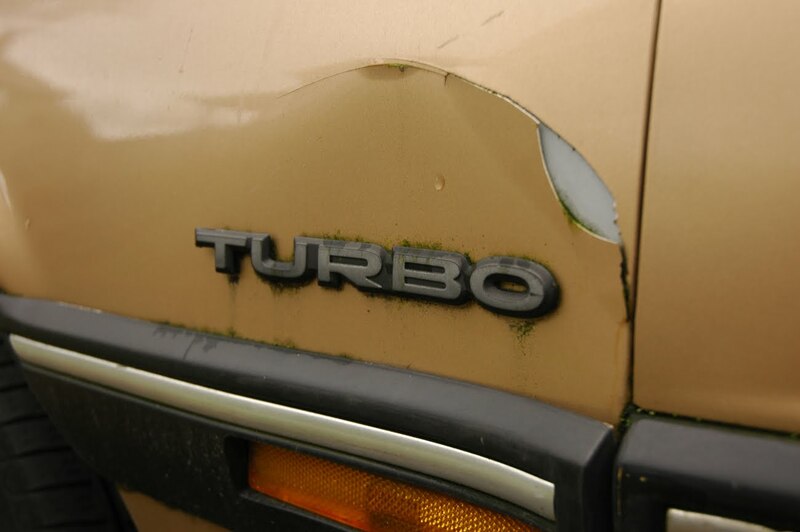 What a find, a mid-eighties Sunbird in driver condition...although, i've never heard of the TURBO moss trim level. 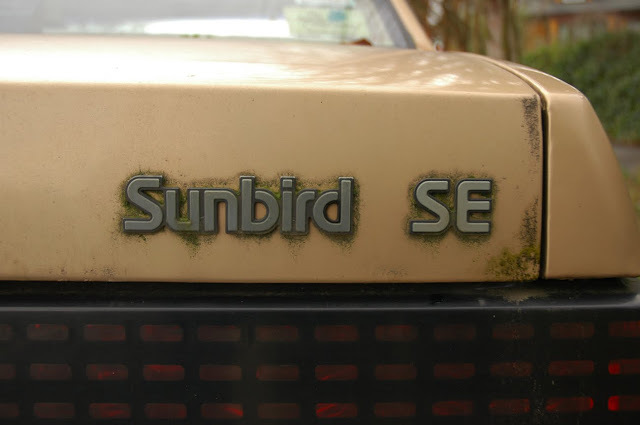 Haven't seen a Sunbird of this era in probably 10 years.